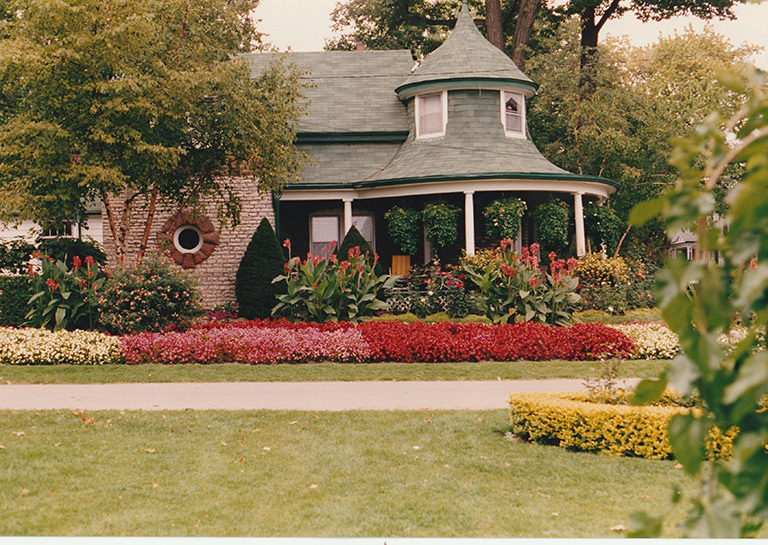 The Kew Williams (Gardener's) Cottage in Kew Gardens was identified as a possible location for a Beach museum by a committee studying the issue many years ago. I have been asked many times over the past years about having a museum where people can donate historical artifacts about different aspects of the east Toronto area, particularly the Beach. This idea has come up many times in the past, and again I begin to ask should there be such a thing. One thing comes to mind for me from about 25 or 30 years ago when I was giving an historic walking tour through the old Toronto Golf Course (circa 1876) in the Woodbine Avenue and Gerrard Street area. A question that came up was along the lines of if we find an old golf ball where would we put it. (By the way, there is a book being written on the Toronto Golf Club coming out later this year, and it should be good.) I didn’t have an answer about the old golf ball and where it should be displayed. We had the first municipal golf course in the city in this area in the early 1920s. It covered land from Lee Avenue to Glen Manor and from Kingston Road south to the Williamson Road school. It was called Glen Stewart Golf Club. This was on property owned by A.S. Ames, a wealthy financier and a sports buff. He had his own private golf course and later turned it over to the public. There used to be competition between the golf enthusiasts and there was a special cup given to the best golfer. One of these golfers was Dr. Davidson, a Beach physician. He won a special cup and it became one of his family’s treasures. His grandson Eric Davidson had several of the trophies and he wanted it put them on display for golf lovers. But where? Many years ago, a committee was formed consisting of our elected officials, two aldermen, trustees from the public and separate school boards, city officials, members of the Lions club, the Toronto historical board and our own Beach and East Toronto Historical Society about a museum. The place chosen for it was the Kew Williams Cottage on Lee Avenue. It would be a great tribute. However, this never came to fruition. At one time Carol Stimmel, a retired editor of the Beach Metro News, organized a drive to buy a piano used by the Williams’ family and it went to the cottage where it still stands. So what can be done about this question of a museum for the Beach? Should we use our libraries, recreation centres, public buildings for a museum site? Do you, readers, even think we should have one? Please give us your ideas about this by writing to me care of the Beach Metro News or to our civic officials.